(Part 2) Interview with Aaron Johnston, co-author of the forthcoming Ender prequel novel Earth Unaware: The First Formic War, featuring a young Mazer Rackham, in bookstores tomorrow, July 17, 2012. 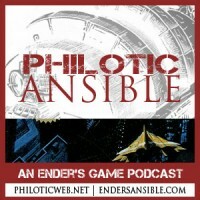 We are very pleased to present the second podcast resulting from the partnership of The Philotic Web Ender Fan Community, and Ender’s Ansible. Click on the image to subscribe (it’s free). In Part 1 of our interview with Aaron he discussed how he became a writer and his time on the set of the Ender’s Game movie. If you missed Part 1 and want to listen, click here. In Part 2, Aaron gets into detail about working inside OSC’s Universe, gives us some insight into the expanding of Ender’s world as seen in The First Formic War series of novels, and hints at what is to come in the future of the Enderverse. Listen to Part 2 of our interview here: Philotic Ansible #002b – Aaron Johnston, Part 2 (mp3, 33:57– Right Rlick to Save), stream below, or subscribe in iTunes. Don’t forget to order your copy of Earth Unaware (due out tomorrow! 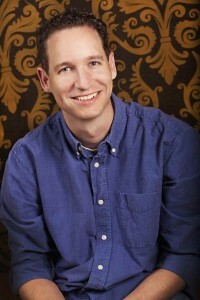 ), follow Aaron Johnston on Twitter, and listen to our special audiobook clip of Earth Unaware. EDIT: A somewhat mixed-up version of the audio file had been linked earlier. This has been fixed. Apologies for the inconvenience or confusion.